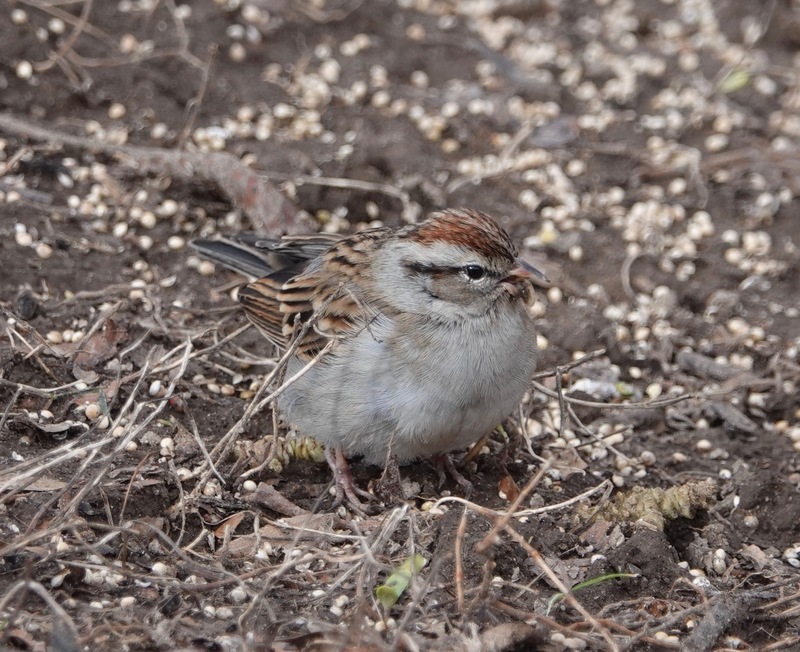 Chipping Sparrow with some kind of growth under the bill. Any thoughts? That’s bird feed all around, spillage from a hanging feeder. 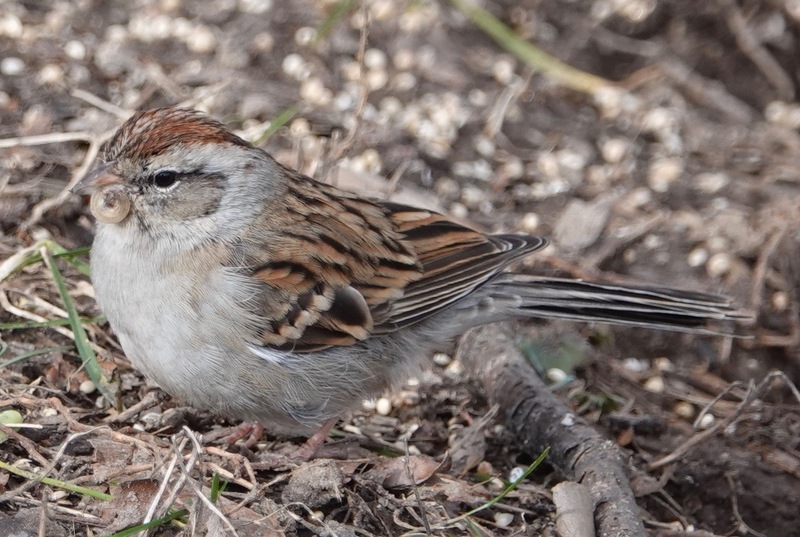 There is an avian bill deformity virus, Avian Keratin Disorder, that has spread out from ground zero in Alaska. In that case, the bills grow much longer than usual. This looks more tumorous, but this donut shape does look like keratin, the material bills are made of. You might find this a paradoxical place to clue you into a proposal to expanded the ban on feeding wildlife in NYC Parks, but I don’t think so. They’re looking to curtail the poisoning of waterfowl with junk food (i.e. bread; generations of people have gotten it into their heads that this garbage food is a good thing for ducks) and the encouragement of rats. The day we have a bagel shortage will be a grim one. But it’s the processed wheat & added sugar thats bad for birds. Birds that eat seeds need the whole seed.